Hello, we are Ventura County’s number one mobile screen service. 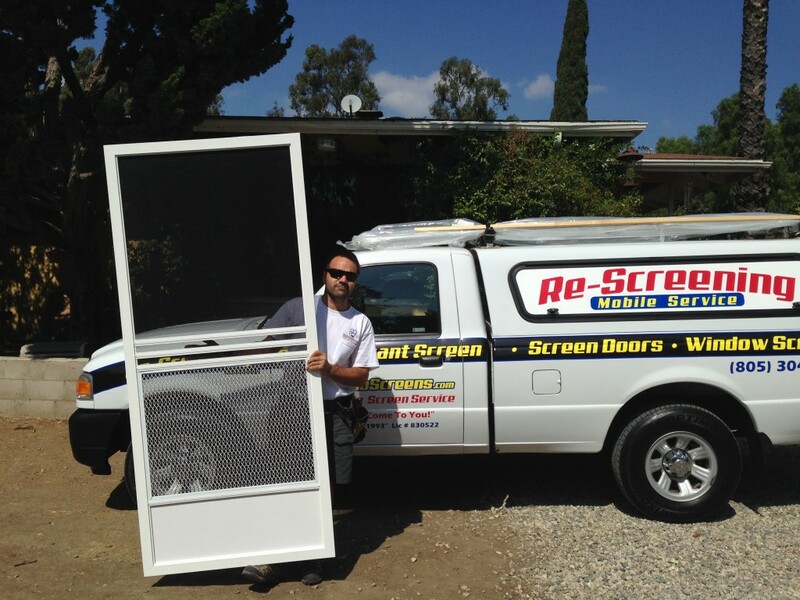 We fix and replace window and door screens on site, we come to you with a fully mobile screen van that has all sliding screen patio door all colors sizes as well as all part to make custom screens a your place. 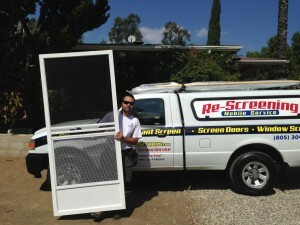 If you call us this is what we do, we come over for a totally free estimate, we look at what screens need to be fixed or replaced then we show you what options you have when you decide we give you a price in WRITING (NOT OVER THE PHONE) if you like the price we do the job on the spot, make and install the screens, clean up and we’re one! We have serviced and worked on over 60,000 homes and we are growing more the ever! The way we do this is by specializing on one thing and thats making great screens that last and that are easy to take in and out! Also all of the work we do and the screens we install are totally guaranteed! any problems we come back and make sure you are satisfied. If you have problems with not being able to open your windows because flies are getting into your home call us and we will come over and rescreen your home! also if your dog or cat got to the patio screen doors and ripped it we have Pet Screen it’s 7 times stronger than regular window screen and also last a lot longer. it is also resistant for kids. This entry was posted in Mobile Screen Service and tagged mobile screen repair servie by Marcelo. Bookmark the permalink.